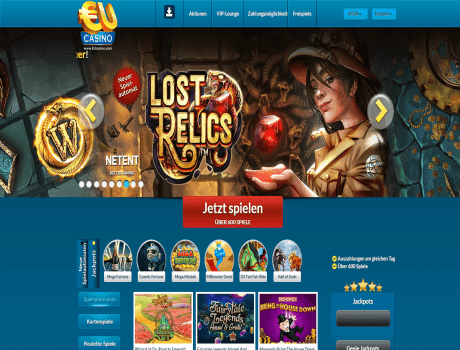 EUcasino.com is everything you want in a top online casino. It is entertaining, rewarding, reliable, user-friendly, secure, fair and loaded with player-friendly features. With more than 600 games and counting, the fun doesn't quit at EUcasino. Enjoy an array of awesome slots ranging from classics to video slots with huge bonuses. Jackpot games, multiple variants of Roulette, Blackjack, Baccarat and Poker and Video Poker are all part of the thrilling library of entertainment. Customer support includes email, telephone, live chat and FAQ. It is 24/7 and available for multiple languages.